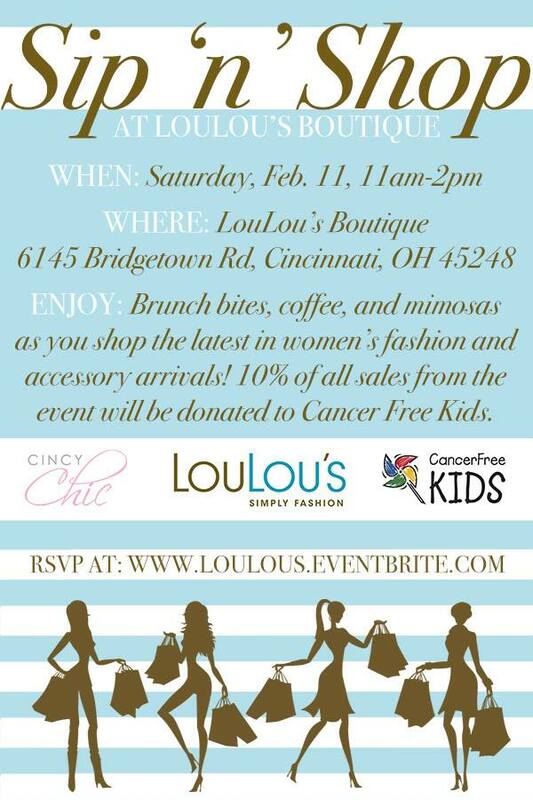 Stylish Sundays at LouLou’s Boutique on the West Side! My friend Nancy who owns LouLou’s Boutique on the West Side (just about the only women’s boutique on that side of the city!) just sent me an email announcing a new event series she’s doing to make Sundays a little more stylish. 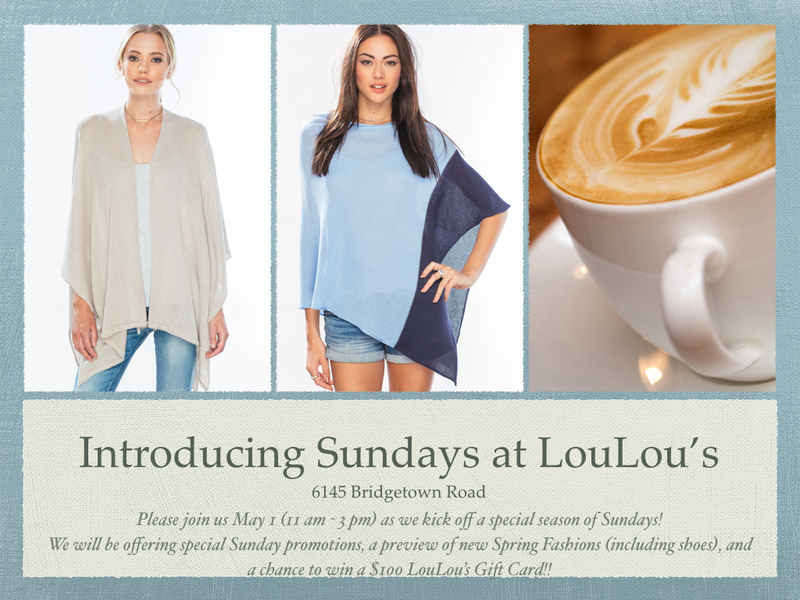 Starting on May 1, she’s going to host special promotions, sneak peeks of new arrivals, and giveaways each Sunday. Sounds like the perfect thing to get me out of my sweats a little sooner on a Sunday! haha! 🙂 Below are all the details….